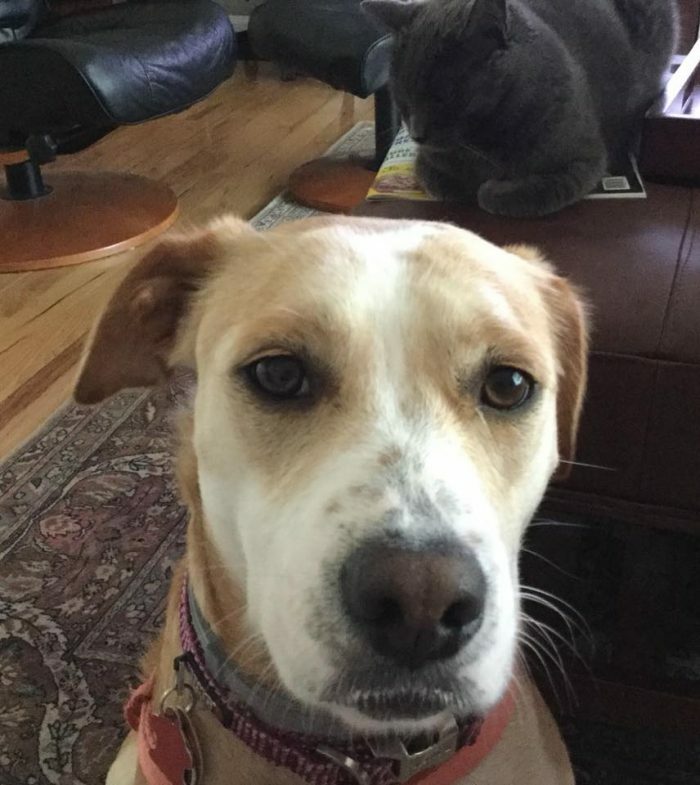 Lucy, one of the sweetest, most affectionate Satos we’ve had the pleasure of knowing, is now living her best life with her new family in Southern New Hampshire. Last we heard from her new mommy Janette, she’s been enjoying all the carriage trails in the country setting she now calls home, and the family is absolutely smitten with her. Happy Trails Lucy! Next Post Hearts and Tails at NH’s “Ultimate Yard Sale”!